The radio studios were challenging because there were a lot of them, and almost all of them were unique. They each had different consoles, different patch racks, different tape machines, different outboard gear. In them you would encounter different producers, different talents, and different requirements depending on the booking. You could be working on a McCurdy console, or a Studer, or an Audio Arts, or some weird one-off I’d never heard of before (or since). What I loved about working in the studios was that every day was different. If you didn’t like a gig, no problem: an hour, or a day, or a week later you would be on to something different. Many bookings in a studio lasted only an hour or two. Sometimes you’d be booked to a news or sports studio for a few days. Often a day consisted of multiple bookings for multiple shows. Only after you’d proven yourself would you get something resembling a regular gig with the same show and/or producers. 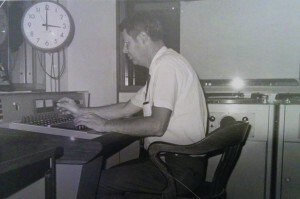 In time I would become the regular tech for Writer’s & Company with Eleanor Wachtel, and Sunday Morning with Mary-Lou Findlay, and later for a series of French shows on CJBC, and beyond that a Recording Engineer for Radio Drama, and finally the Recording Engineer for Q, before joining the management team. But in the beginning I worked on everything they threw at me. My name is Alex and I am Karl Enke’s Grandson. I was just Googling his name for fun and happened to find your website. Karl, my Opa died when I was 10 from Asbestos related cancer. I believe he was in his early 70s. Its nice seeing that old photo of him at work. 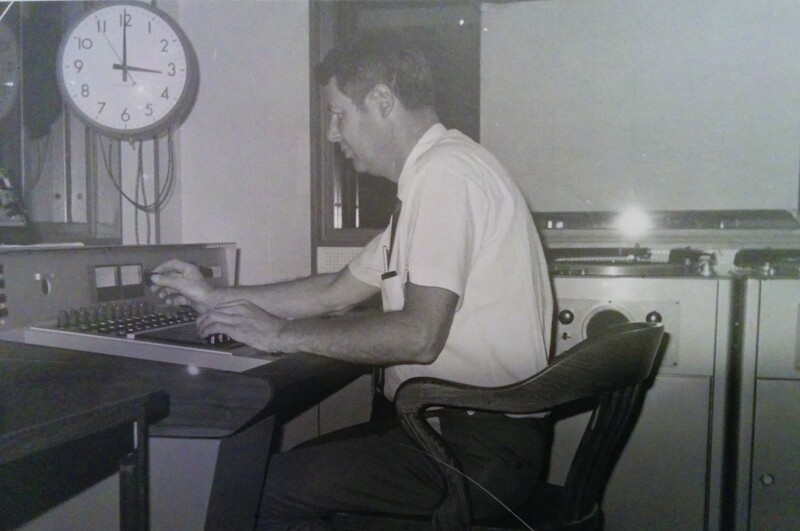 He helped to get me interested in computers when I was young, I used a very old black and orange computer screen and he taught me how to make birthday cards on a very old system. Eventually, I became a software engineer, due to the help of his influence :). Hi Alex. I’m glad you found the site and your father’s photo. I don’t believe I ever met Karl personally, but I remember my colleagues talking about him. He was remembered fondly. Thanks for dropping by and commenting!